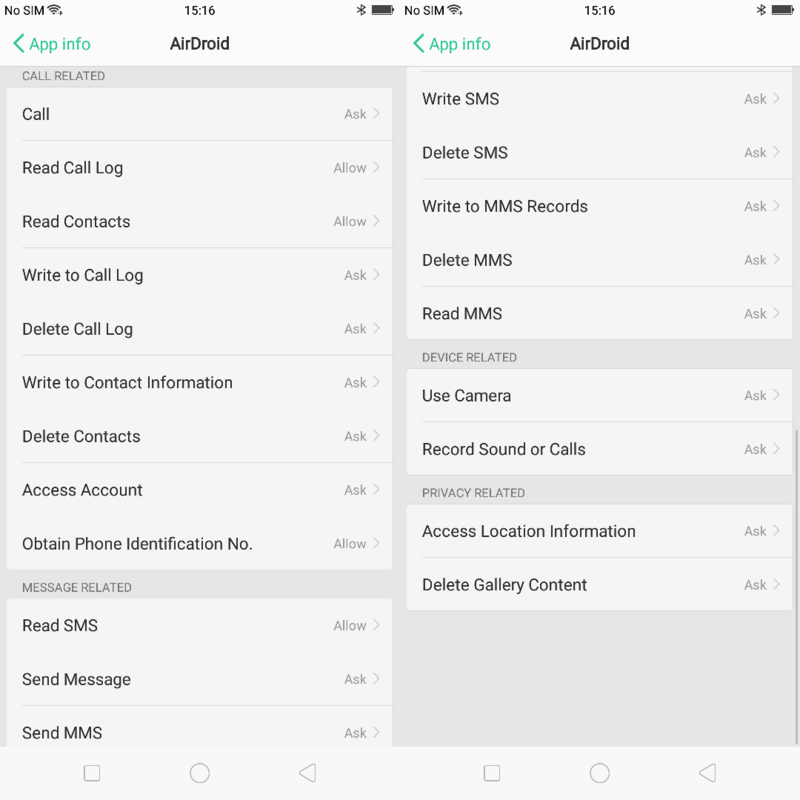 How to manage permission for AirDroid on device with Android v.6.0 and above? 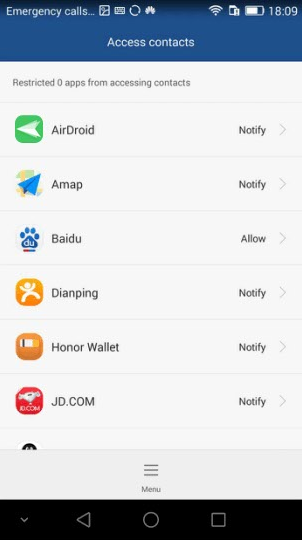 Permission for the relevant feature needs to be granted to AirDroid if you find AirDroid cannot function properly on your device(s). 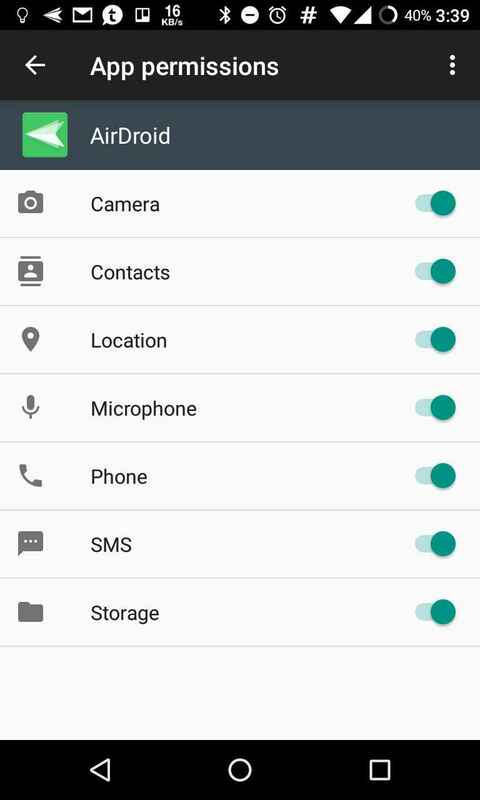 Then you will be able to see if the access to relevant features are allowed for AirDroid, if not, tap the switch to turn them on. Then you will be able to see the list of permission granted shown as follow. 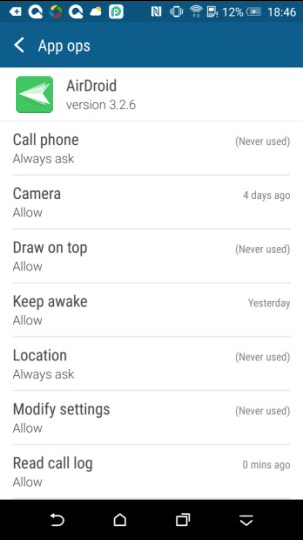 Find the specific feature that functions abnormal, tap AirDroid to enter and then select "Allow". 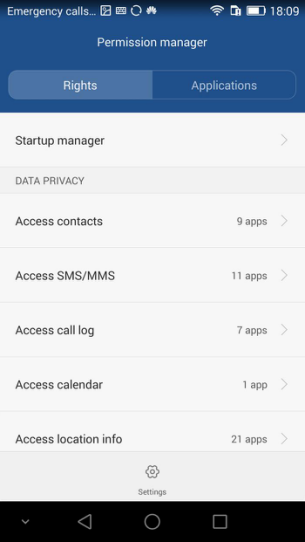 Then you will be able to see if the access to relevant features are allowed for AirDroid, if not, select "Allowed" from drop downs. 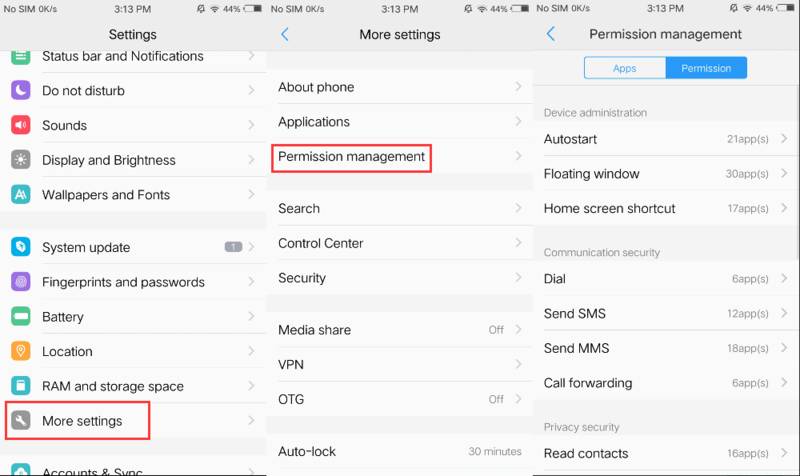 Then you will be able to see a list of permission granted shown as follow. Please proceed to try the settings of Google series if you can't find your phone brand aforementioned, it should solved your problems. However, if none of above applies to your situation and your AirDroid still failed to function properly, please shoot us a message via support@airdroid.com anytime. The permission required for each feature is listed as below. 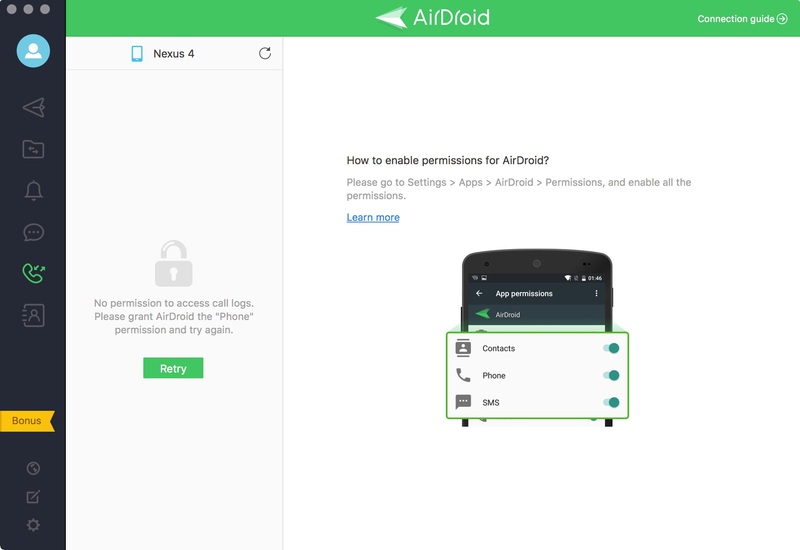 Re: How to manage permission for AirDroid on device with Android v.6.0 and above? 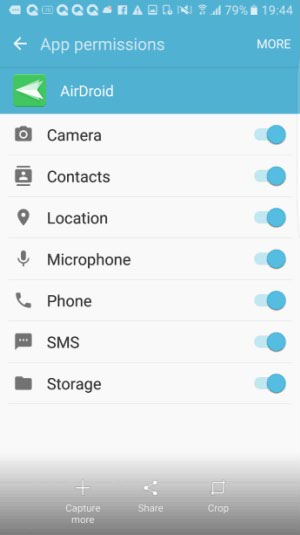 Never had problems but since the last update i cant upload files to the phone, it asks an "Storage Permission" but the phone it's kinda old, if i go to the settings like the instructions i couldn't find some kind of switch to allow the permission. It's strange because it always worked, now since this change, i will be unable to upload files? 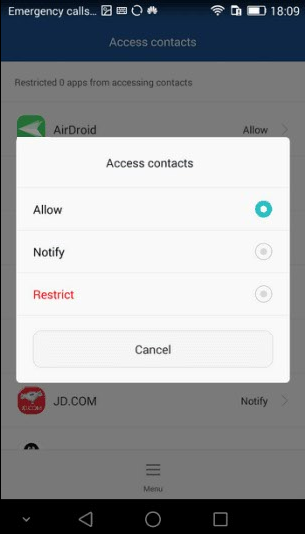 Android does not support for controling app permission in it's current version. Though this feature is already available in Apple iOS. 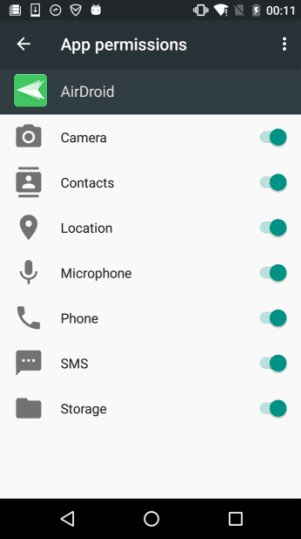 So in future, might be in its next version (Andriod M) they will provide this feature . So this will again reduce the feature gap between iOS and Andriod . I learned something new here. 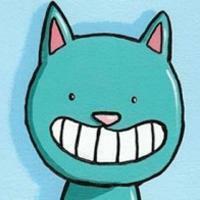 Thanks for sharing such a great tips. 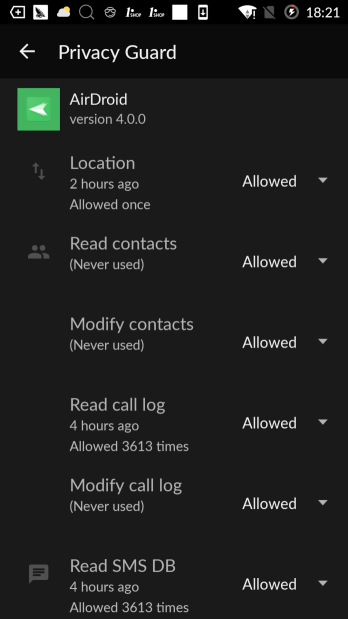 I can't get into the Calls History.